According to the Telecom authority of India the number of mobile users in India is 93.3 crores. Among them, we have 9 crores of smartphone users. This means that in the mobile users only the 10% is using smartphones and the remaining 90% is handling the ancient type of feature phones. Different smartphone manufacturers observe it as an excellent opportunity to introduce their budget smartphones in Indian market. Yes, now the Taiwan giant, Asus is also returning to India with its smartphone called Zenfone. The Taiwan titan is planning to introduce different models of the Zenfone. The Zenfone will be available in Indian market by the first week of the coming June onwards. Asus, the colossus in the computer hardware technology, presented their Zenfones in the Consumer Electronics Show held in Las Vegas at the onset of January 2014. According to the company as their first step they are planning to sell Zenfone 5 in India. 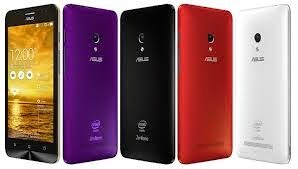 Zenfone 5 is a model with 5 inch IPS touch screen display that is protected by the scratch free Gorilla Glass 3. The five inch IPS display possesses the resolution of 720 x 1280 pixel. The hardware specifications of the device include 1.6 GHz Intel Atom Z2560 Processor, 2GB RAM and 8GB inbuilt storage that is expandable up to 64GB via a micro SD card. Hyper threading technology is another important feature of the device. By using this technology the device can act as a quad-core CPU when too many processes are running. The exact price of the device in the Indian market is unknown. The selling price of the device in western countries, including the USA is $149(RS 9000). It is expected that the price of the device will be under Rs. 20000 in India.